Ruellia sororia is member to Ruellia section Chiropterophila, an entire clade of which, at present, is known only from Mexico. Species in section Chiropterophila are for the most part rare or extremely rare (see Tripp 2010, Systematic Botany). 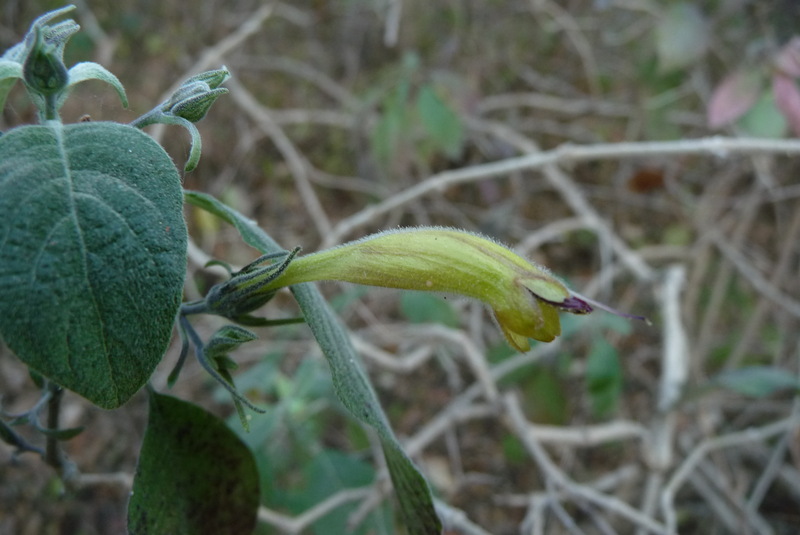 Ruellia sororia happens to be endemic to Guerrero. The plant is, among other reasons, remarkable for its morphological intermediacy between two morphological groups within sect. Chiropterophila. It is the only species in the clade that produces those strangely urceolate corollas AND produces flowers in dichasia. Note the tinges of anthocyanin production in three visible whorls of the flower. This clade is otherwise marked by a complete lack of anthocyanin pigmentation.